Calcio Mercato has claimed that the 25-year-old Kostas will be a most wanted personnel in the summer transfer window with the teams like Chelsea, Manchester United and Inter ready to make a move. Furthermore, it is also reported that he might cost around €50 million and given the substandard financial condition of AS Roma, the Giallorossis would not think twice if an offer of around the aforementioned figure comes. Zouma, for his part, has already made it clear that he will discuss his future with Chelsea after the end of the season and this has sparked the speculation more. The 22-year-old has finally recovered from his serious knee injury, but has hardly featured for the Blues with Azpilicueta, Luiz and Cahill locking up the positions. Zouma told L’Equipe: ‘We’ll have to see how the second half of the season goes. The team is the priority: first of all, to be champions! ‘After that, yes, we’ll have to talk, because I’m young, and it’s at my age that you have to play the most. 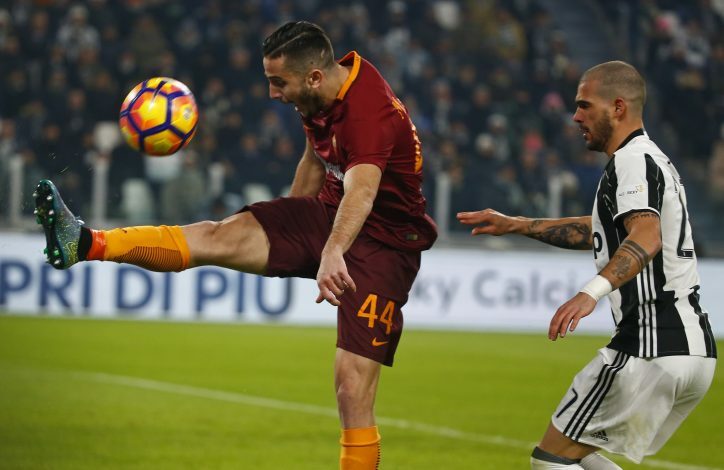 With Inter Milan ready to offer a lucrative deal and an option to stay in Italy, Manolas’ departure is quite probable nad to fill the void, bring a young 22-year-old would surely not be a bad move. And with Roma looking certain to qualify for the Champions League, a sustainable depth in the roster won’t do any harm. Zouma was a regular starter under Mourinho last season, but a career-threatening injury against Manchester United hampered his progress and his participation this season under Antonio Conte has been limited to just seven games in all competitions.